At 4:00 AM, I rode a 5-star bus bound for Cabanatuan City. After about 2.5 hours, we reached the so-called ”Tricycle Capital of the Philippines”. I roamed around the city checking the different interesting sights. I went to the cathedral, to Plaza Lucero where the monument of Gen. Antonio Luna is erected and to the old provincial capitol building of Nueva Ecija. 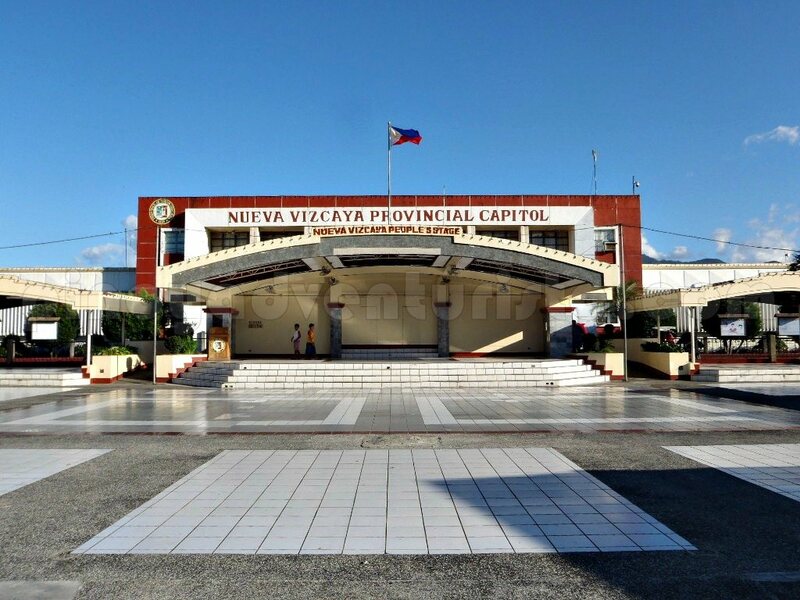 I also had bibingka for breakfast in the stores in front of the church and witnessed the “Mais Festival” parade of Nueva Ecija State University. 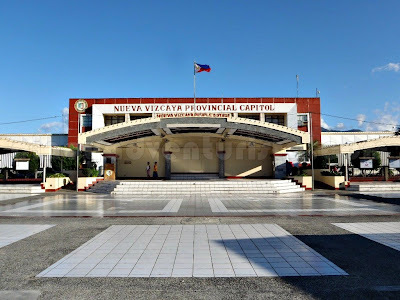 It was a 3 hour tour around the city and I am so happy to learn a lot of new things while exploring Cabanatuan City, Nueva Ecija. At around 10 AM, I took a bus bound for Tuguegarao and alighted at Bambang Junction after 4 hours. I then took a tricycle going to Dupax del Sur where San Vicente de Ferrer Church, a "National Cultural Treasure" is located. I also saw what they consider as the "Oldest Acacia Tree in Luzon" standing proud just beside the church. After about an hour I took another tricycle to the main hi-way. I then rode a jeepney bound for Bayombong and alighted at the fruit stands selling different citrus fruits. 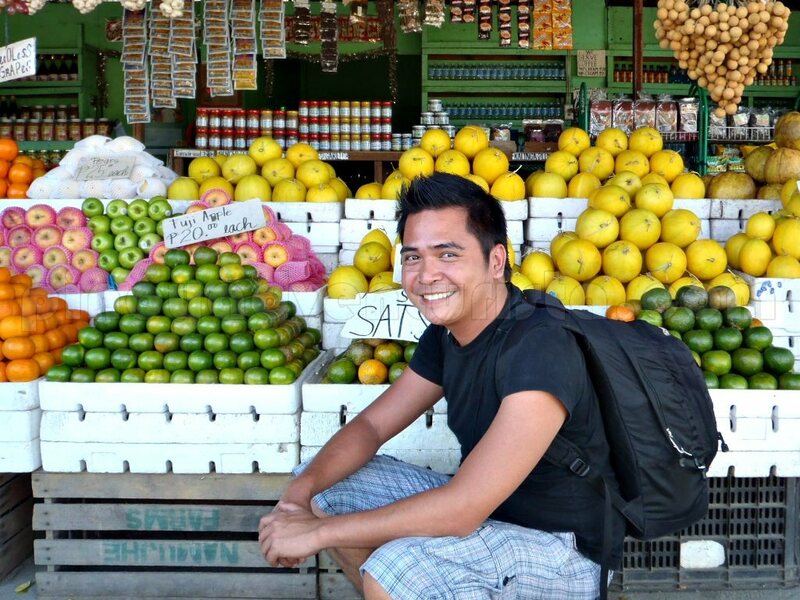 As the "Citrus Capital of the Philippines" they sell different fruits that come from different parts of the region. Don’t miss to bring home some! 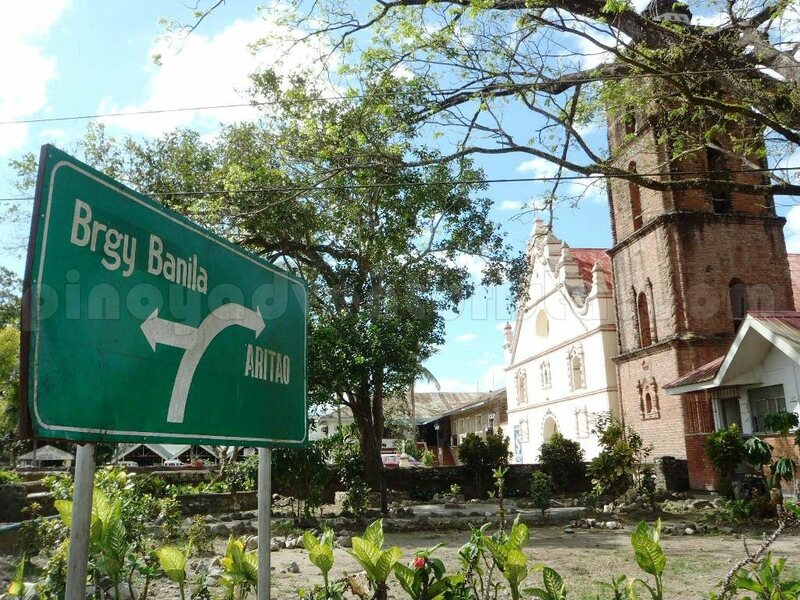 From here, I took another jeepney to the town proper of Bayombong where I saw St. Dominic Cathedral. Then I rode a tricycle to the Provincial Capitol Complex where I rested while munching on 2 pieces of tokneneng and a cup of gulaman. 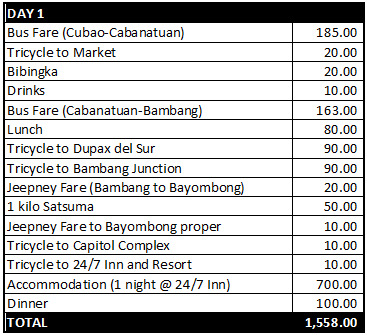 Then I took another tricycle to my accommodation, 24/7 Inn and Resort located at Bayombong-Solano boundary. I had dinner, enjoyed the pool in the resort and called it a day at around 10:00 PM. Visit San Vicente de Ferrer Church, a "National Cultural Treasure"
I woke up early and took photos of 24/7 Inn and Resort. At around 9:00 AM, I checked-out and proceeded to the bus stop in Solano. 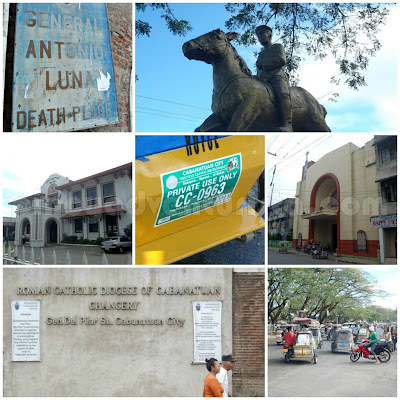 I took a van bound for Ilagan, Isabela and alighted in Santiago City. 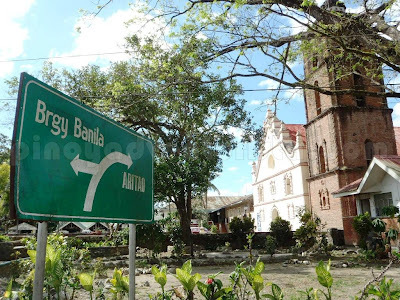 Travel time from Solano, Nueva Vizcaya to Santiago City, Isabela is around 2 hours. 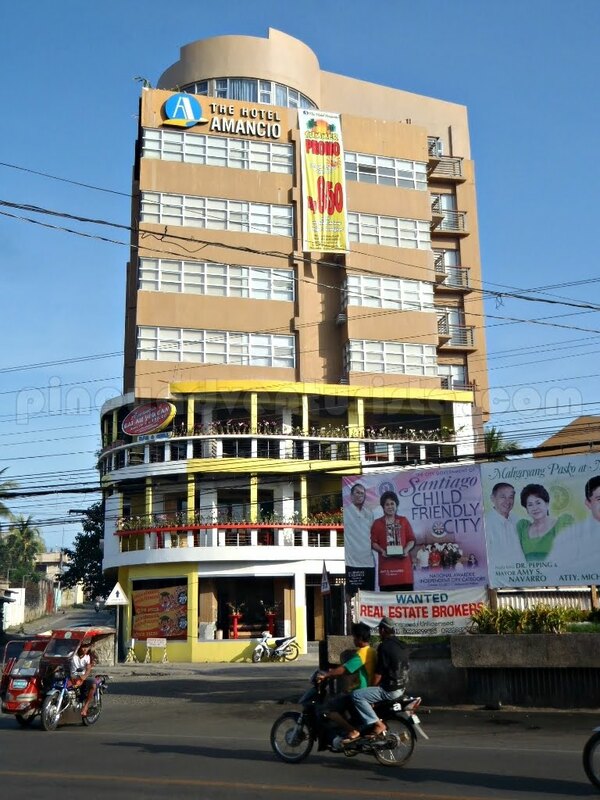 Upon arriving in the city I saw this tall hotel building - The Amancio Hotel. I checked-inn and started my tour around the city with an early lunch at one of the eateries outside the hotel. After having lunch, I took a tricycle to "Balay Na Santiago". 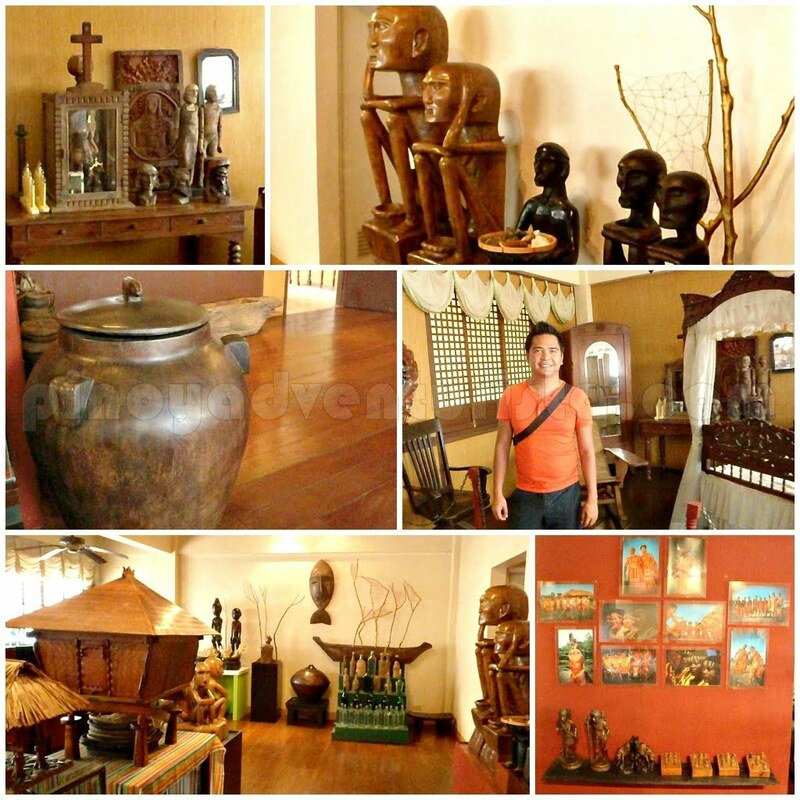 Entrance fee to the museum is 5 pesos. It took me about an hour taking photos and touring around the museum. Then I took a tricycle going to the van terminal bound for Madella. At around 12 noon, we travelled going to Quirino province. 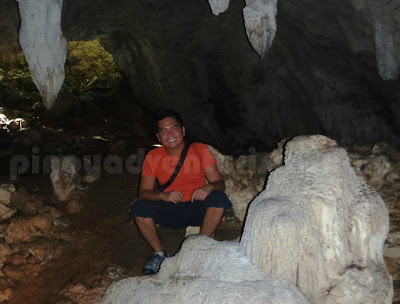 After about an hour, I alighted at the road leading to the Aglipay Caves. I walked for about 15 minutes to reach the entrance to the cave where I met my spelunking guide. The cave exploration lasted for about an hour. 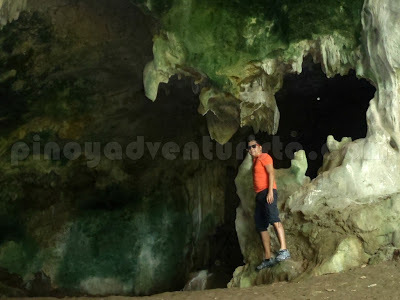 At around 3:00, I left Aglipay Caves complex and walked towards the main hi-way. It took a while before I got to ride a van bound for Madella. Good thing, after about 15 minutes, a van arrived. I reached Maddella after 20 or 30 minutes. At the terminal in the town proper of Maddela, I hired a tricycle going to Madella Waterfalls and made an agreement with the driver that I will pay him 200 pesos including the waiting time. 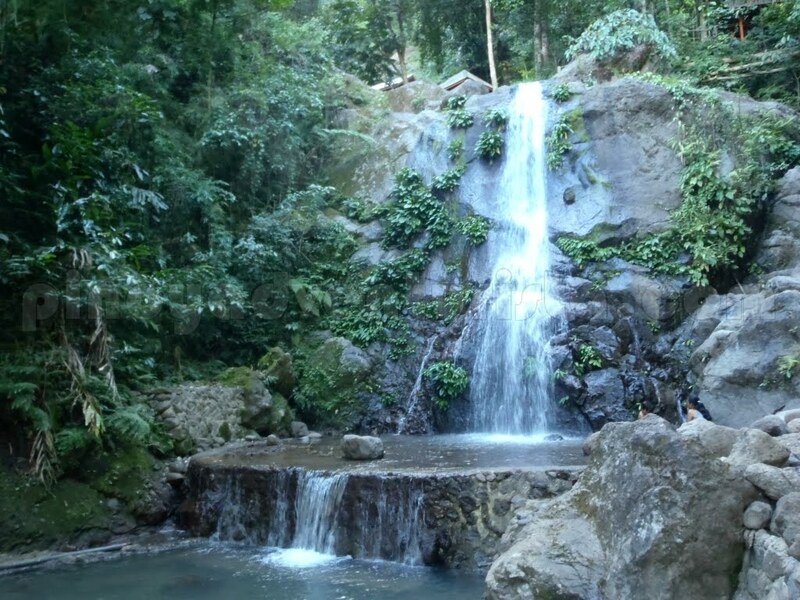 It took us about 20 minutes to reach Maddela Waterfalls and Forest Resort. I paid the entrance fee of 20 pesos and started the short hike to the waterfalls. Lush greens and thick forest greeted me as I walk as fast I can to get the waterfalls. It took me about 30 minutes exploring and enjoying the waterfalls. I went back to the town proper just in time for the last van bound for Santiago City, it’s around 5:30 – 6:00 PM. Please take note of this since it will be hard to go back to Santiago City if you will be left behind. 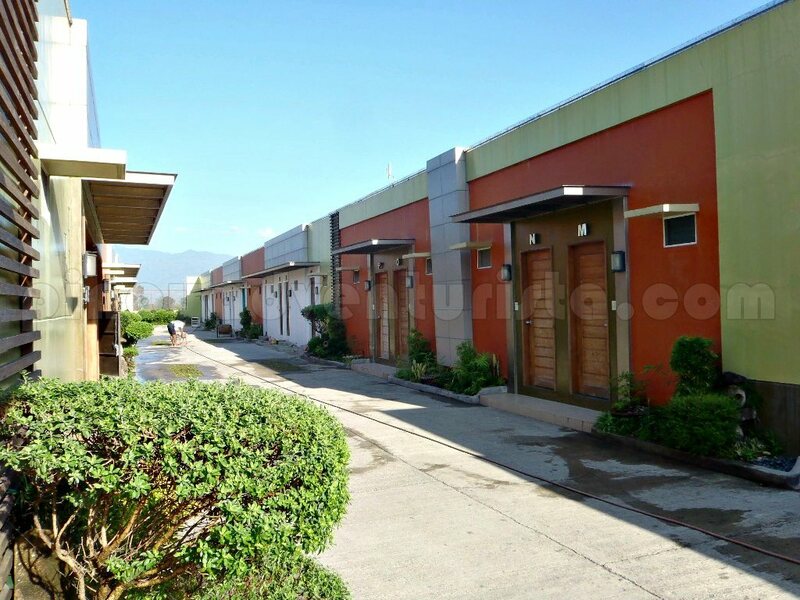 Nonetheless, you could ask around where you could spend the night in Maddela. Upon reaching Santiago City, I took a shower and had dinner at the hotel. They offer an "eat all you can" dinner buffet for only 150 pesos. But don’t expect too much on the menu, it's very limited. Then I went out to check the happenings around the city. At around 11:00 PM, I called it a day. Nothing much really happened on the 3rd and last day of this trip. Since I am so tired, I ended up oversleeping at my room. I woke up at around 8:00 AM and had the complimentary breakfast at the hotel’s restaurant. Then I checked-out at around 10:00 AM. I took a van bound for Tuguegarao. 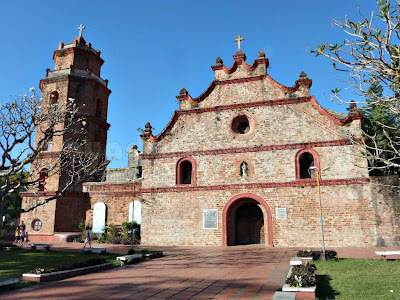 I plan to visit the old brick Church in Alicia, but since I will be late for my flight going home, I didn't push thru with it and just proceeded to Cauayan Airport in Cauayan Isabela, around 2 hours away from Santiago. I arrived at the airport, just in time before the check-in counter closes. If you have any question, just leave a comment below and I will try to answer it as soon as I can. Thanks a lot and happy trip! I can't believe how you did all that and spend so little.. 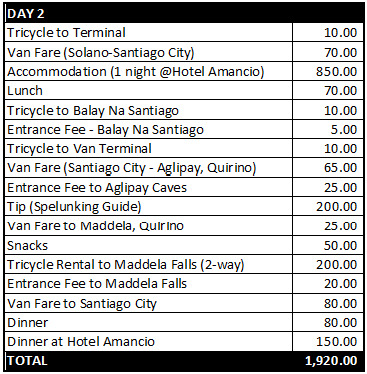 I need to learn how to keep a trip within budget, masyado ata ako magastos, hehe..
spell backlogs! hehe.. Were you traveling alone or always with someone? tas when u consolidate all facts about ur itineraries, parang ang dali lang kahit ang dami, u can still managed to share it all. So great! kaunting kaunti na lang libot mo na buong pilipinas! 4218 for 4 provinces! Congratz! Hi, tiga Maddela, Quirino ako, kung mas mahaba sna ung oras nyo sir, may iba pang scenic spot sa amin, ung resort malapit sa waterfalls They call it Bato, meron dn ung Governor's Rapid, and Bimmapor Rock formation at Mactol Falls sa Bayan ng Nagtipunan at the same time may hotel & resort din sa amin na pwdeng pwd mgstay Villa Caridad!sa part ng Diffun andun din yung Nagbukel cave! nway, Just Saying po for additional info. this is very informative and detailed! i love! safe travels, mervs! :) lamats! first time ko ata magcocomment sa blog mo sir... I've been a follower and I've used a lot of info from ur blogs... galing! Salamat! You're just like us. Everytime we travel we just select the place and the no. of days to stay there, then we select our own itenerary, go anywhere, discover & explore , list the expenses. I guess we differ only in one thing, our reason for travelling is to share the word of God to tricycle drivers, tour guides and the likes. Yours is an informative one. God bless your forthcoming trips. Looks like it would be a blast. Simply exploring is usually the most exciting thing. No itinerary...just go wherever :). I found your blog since Im going to Solano for work from Cauayan Airport. May I know how many hours and any suggestions regarding the transportation?